Gmail is the most popular email service on the web. However, as streamlined and as easy to use as it generally is, it can, like other email services, encounter issues. This guide covers the most common problems iPhone owners are likely to have with the service, and it explains how to resolve them. 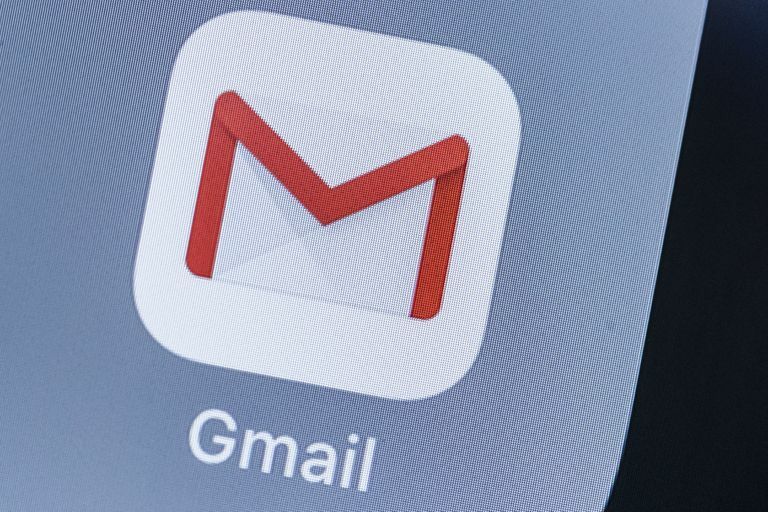 From being unable to send or receive mail to failing to connect to the Gmail server via your iPhone, it will you have you using your account again in no time. Often, issues can arise if you attempt to use Gmail on your iPhone while away on vacation, or in a location you tend not to visit normally. Detecting that you're somewhere you usually aren't, Gmail can sometimes stop letting you access their server whenever you open the Mail app on your iPhone. This problem can continue even when you return home from a trip. Usually, you know this is a problem because you'll be presented with any one of a number of error messages. "Cannot Get Mail," "Cannot Send Mail," and "Cannot Connect Using SSL" are some of the most common, and while they might vary in their exact wording, they always indicate that you have a problem. You will then see a page which says, "Account access enabled. Please try signing into your Google account again from your new device or application." Having done this, you should be able to open the iPhone's Mail app and begin receiving/sending as normal. While the above method usually resolves most Gmail problems, you can also try checking your Gmail account for any emails from Google alerting you to an 'unusual' sign-in. Such emails usually contain a red box that says, "REVIEW YOUR DEVICES NOW." You should click on this link and, if required to, enable your iPhone. Alternatively, you can log into your Google account (via your smartphone or computer) and check your Device and Activity Dashboard. After doing this, click on your iPhone. In the vast majority cases, this will present you with the details of your most recent login. However, if there is an Enable button, click it. After doing this, try logging into your Gmail account using the Mail app on your iPhone. One other fairly common cause of iPhone Gmail issues is IMAP. This stands for internet message access protocol, a technological standard that lets your Gmail account send all your account information to and from your smartphone. Normally, IMAP should present you with no problems or issues at all, but if it gets switched off (for whatever reason) it will prevent Gmail from working on your iPhone. As such, here's how to check whether IMAP is enabled and how to switch it back on if it isn't. This will enable IMAP for your Gmail, which will mean that your iPhone's Mail app will begin sending and receiving emails again. Scroll down to the bottom of the page, to the "View Gmail in" submenu, and tap "Desktop"
That's it, and assuming that IMAP wasn't enabled before, your iPhone should start working with your Gmail account again. Users of iOS 6 will then be able to use Gmail via the Mail app of their iPhones. However, given that iOS 6 isn't as secure as more recent versions, it may be a good idea to upgrade. Assuming that none of the methods above have resolved the issue, one thing you can try when Gmail isn't working on your iPhone is to delete your Gmail account from the smartphone and then set it up again. That's it, although Gmail users with two-factor authentication enabled should note that they'll have to enter a Google Authenticator code after Step 7. One final option if you've tried everything above is to perform a factory reset and restore your iPhone to a previous backup. This can help in situations where some kind of system error on your iPhone is making Gmail inaccessible. First, backup your data. Either you can use iTunes, by connecting your iPhone to a computer using a USB cable, opening its submenu on iTunes, and then selecting Back Up Now. Or you can use iCloud, by going to Settings on your iPhone, clicking your Name (this step doesn't apply to iOS versions earlier than 10.2), then iCloud, and finally iCloud Backup. Once backed up, you then need to switch off the Find My iPhone feature. Finally, you can perform the factory reset itself by taking the following path: Settings > General > Reset > Erase All Content and Settings. Once you've reset your iPhone, you then need to restore its last backup (see below), and then set up your Gmail account again (as described in the previous section).